Any system administrator, marketer or sales person knows that duplicate entries in your CRM is a recipe for disaster. Database hygiene is important and keeping your system of record clean is crucial. Lead Liaison handles duplicate issues automatically. Duplicates will automatically be merged together. 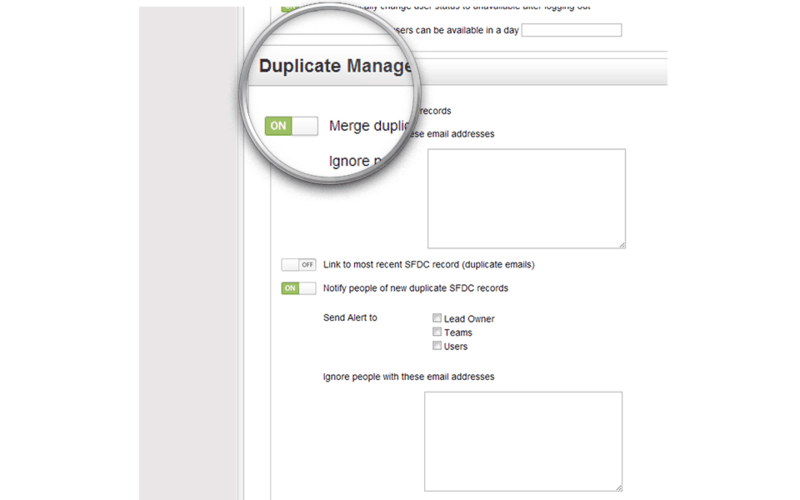 When duplicate records are created, you’ll get notified of the duplicate and the ensuing merge. 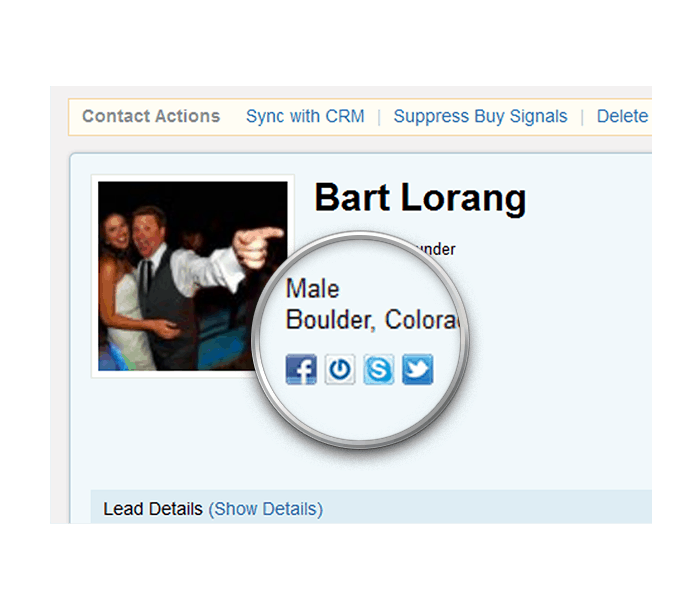 In Lead Liaison’s Prospect database, a carbon copy of your CRM, no duplicates are created and all records are unique giving you a pristine marketing database to work from. 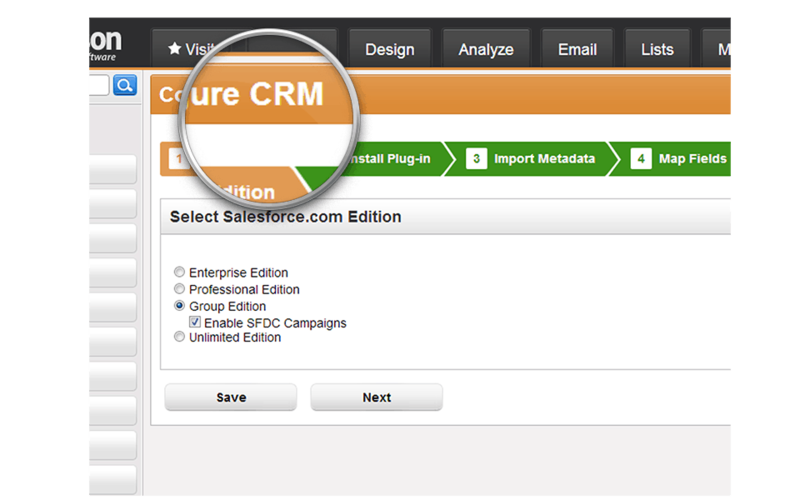 CRM configuration in Lead Liaison is a breeze. We provide a configuration wizard that walks you through the simple setup. Most CRM configuration can be completed in 30 minutes to an hour. Our system and your CRM will talk back and forth, bi-directionally, keeping each other updated. 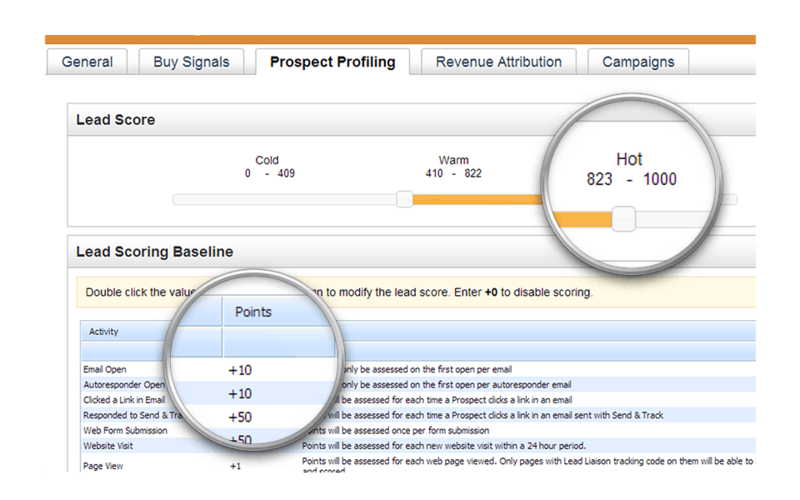 We feed key sales qualification information such as lead score, last activity, search terms, etc. along with a Prospect’s digital body language (web form submissions, landing page views, page views, videos watched, email engagement, and more) direction into the CRM so the data is served up to the sales organization. 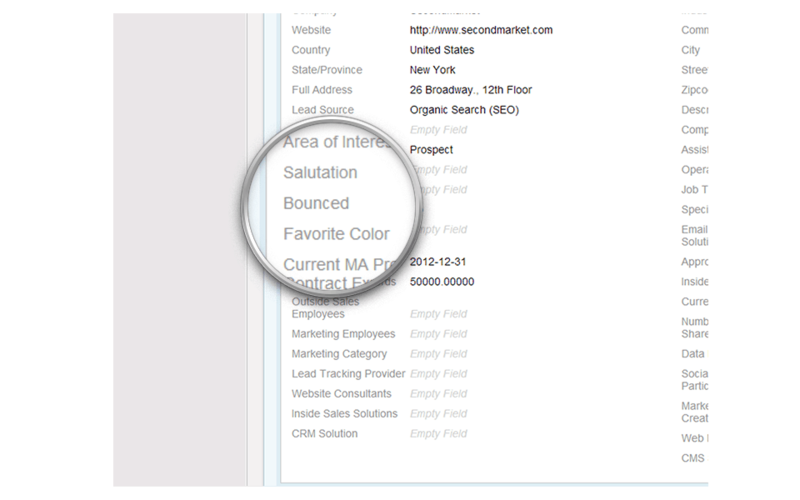 Synchronous and asynchronous bounces are intelligently handled in Lead Liaison. Soft and hard bounces are recorded in the application. When hard bounces occur the record is updated and the contact will never be emailed again. We’ll continue to try to deliver soft bounces and if delivery fails then we’ll update the record as bounced. When someone unsubscribes we’ll also update their record to make sure your email lists stay clean. Lead Liaison fetches social profiles from over 110 social media channels and appends information such as age, interests, Klout activity/score, location and more to a Prospect record. This helps sales sell more effectively by having more information on hand about a Prospect. Marketers can use the social information to more precisely target their marketing campaigns. For example, perhaps you want to send an email campaign to all your Prospect who are 30 to 35 years old, live in Denver, and love Football. Marketers can send more relevant information and stand a better chance at building strong relationships. One major problem with most company’s CRM system is that all leads and contacts are “flat”. In other words, everyone looks the same! There’s no way to prioritize high priority leads or identify ideal buyers. Lead Liaison’s lead scoring and lead grading solutions will help your company easily identify important prospects and enable your sales team to be more effective.